The VN-Index yesterday recorded the strongest drop session since May 8, 2014, plunging 5.1 percent to below 1,050 points. Selling pressure covered the market with a slew of banking, stock and real estate stocks falling. Many closed at floor prices such as VCB, BID, CTG, STB, EIB, VIC, VRE, DIG and DXG. Closing the trading session, the VN-Index reduced 56.33 to 1,048.71 points with 50 stocks gaining, 71 declining and 36 treading water. 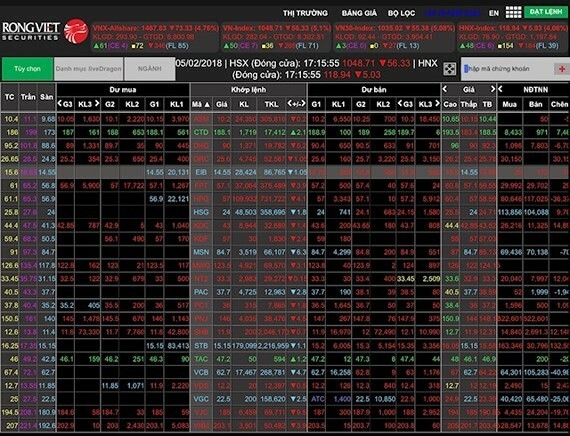 In Hanoi, the HNX-Index dropped 5.03 to 118.94 points. Total transaction value in the market remained high at over VND9.4 trillion (US$414 million). 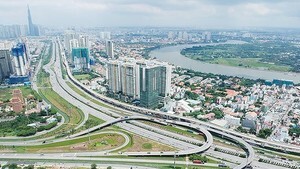 Despite selling pressure by domestic investors, foreign investors still maintain net buying with the total value of VND110 billion ($4.84 million).